Gardens are special places for learning and healing, and creating spaces to promote these experiences is something we love to do. The design journey for these projects is personal, very detailed and exceptionally rewarding. Plant and Material selection is crucial, as well as how those choices are utilised within the space. Special consideration must be given to the physical and pychological needs of the users to ensure excellent outcomes for all. 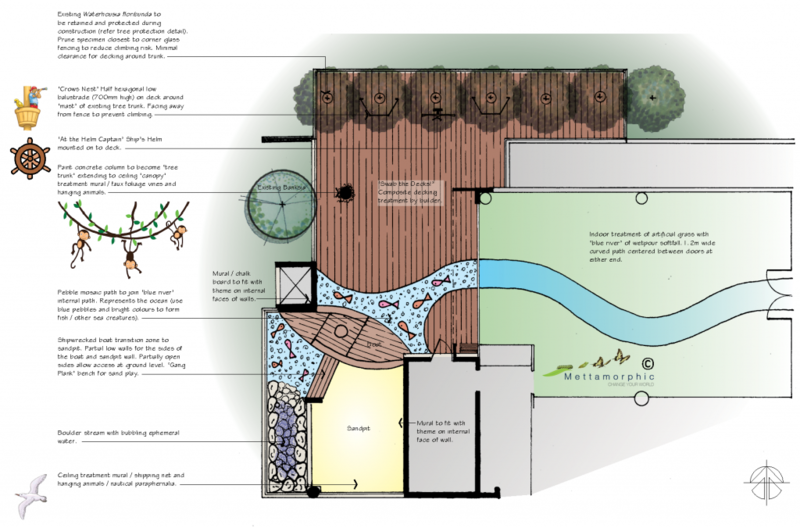 We understand what it’s like to feel overwhelmed by the prospect of creating a new specialised garden space, renovating and existing one, or to have an unsatisfactory experience. Our job is to guide you through the journey, and the place to begin is with a consultation. Whenever possible, we believe a face-to face meeting on the site in question is the most effective way to understand your unique landscape challenges and tailor a solution especially for you. During this time we can give you a clear and realistic idea of what is required to reach your destination habitat, and break that process down into manageable steps. Our goal is to provide a stress-free solution from concept to completion.